Pink! Pink! Pink! That is very pretty, which receives charming embroider. Introducing the Dolce & Gabbanan Embroidered Shoulder Bag, which is a perfect match for your summer overalls. 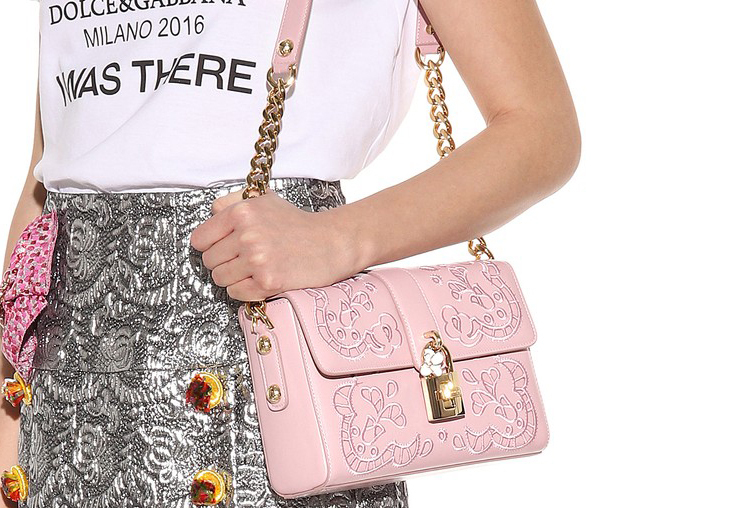 If you could just bottle up all the pretty feelings and details in the world, then this Dolce & Gabbana bag would be the perfect example. 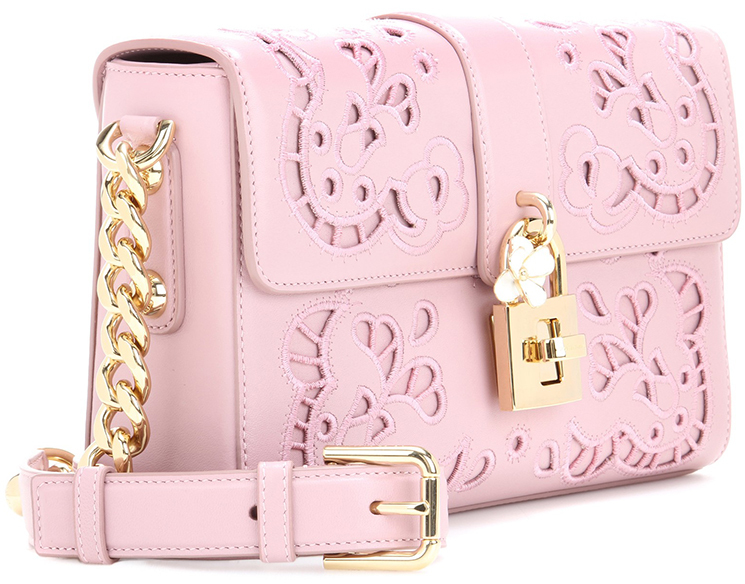 With its ethereal feel to it, this is certainly the girliest everyday bag you could ever own. 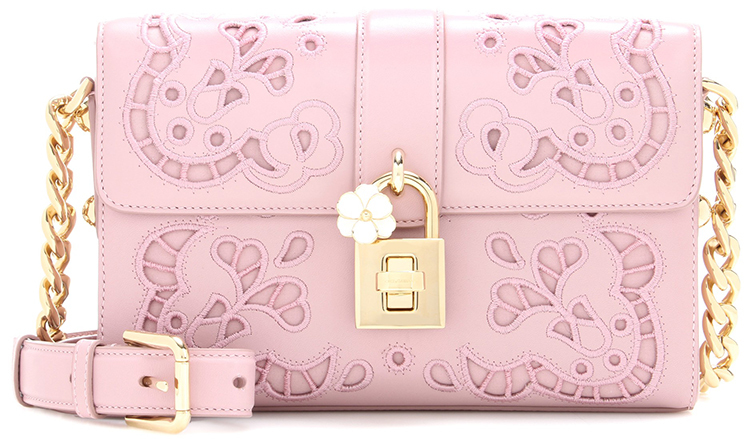 Beautifully crafted from smooth leather in an elegant mauve hue, this Dolce & Gabbana creation is made all the more charming and irresistible by its signature lock-shaped closure that has a tiny white flower to it. Talk about cuteness in one bag! The new Dior CD Box is going to rock the fashion world. Last time we talked about the single colors in black and pink. 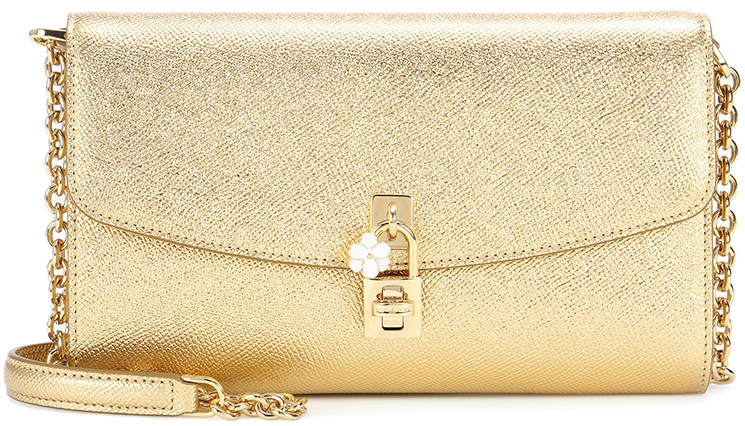 Today we’re going to present a clutch that’s more sophisticated. If the evening is too important to fail, you will need a companion that is going to help you stand-out and steal the show. Obviously, your dress and shoes matters, but its always the bag that makes everything perfect – it’s the finishing touch. Covered in the color we love – pink and satin, with sophisticated design, embroidered with sequins, its gorgeous, it’s beautiful, it’s to-die-for. Every girl should own at least one of these bags in their wardrobe. These are weapons on standby-mode, always ready for special occasions. The signature of Dior is put on the side-metal and it comes with a shoulder chain. Measuring 17 x 11.5 x 4.5 cm, price is unknown. Run to the nearest Dior boutique for more information. Blending practical functionality and high glamor in one neat package is Gucci’s Dionysus GG Supremeshoulder bag. The bag is crafted from canvas that features the brand’s unforgettable GG monogram print in a neutral taupe color and is adorned with a wild, textured tiger head spur closure. A sliding silver chain allows you to wear the bag in a number of different ways. The bag also sports sharp suede panels on the flap and a large bee embroidered from silk covered brass threads. The bag’s antiquated silver hardware and neutral color make it a simple and ladylike pick that can easily go from business meetings to date nights. We particularly like the idea of styling this handbag with a dark suit or sheath dress. If being Queen Bee is not quite your thing, the bag is available in 5 other variations and each one is more beautiful than the last. The simplest design with no embroidery is priced at $2,250 while our favourite Bee embroidered bag is priced at $3,400 over at Neiman Marcus. These beauties won’t be around forever so pick your favourite while you can!